Getting on top of a flea infestation is much harder than it sounds. It can take up to three months of diligent treatment of pets and the home before you have really gained the upper hand. We appreciate that the process can be enormously frustrating and it’s one of the reasons we recommend treating your pet regularly all year round with FRONTLINE® Spot on or FRONTLINE® Plus to prevent an infestation becoming established in your home and on your pet. Something that might help is an understanding of what to expect from flea treatments. The ingredient in FRONTLINE® Spot On and FRONTLINE® Plus that kills fleas makes them hyperactive before they die. 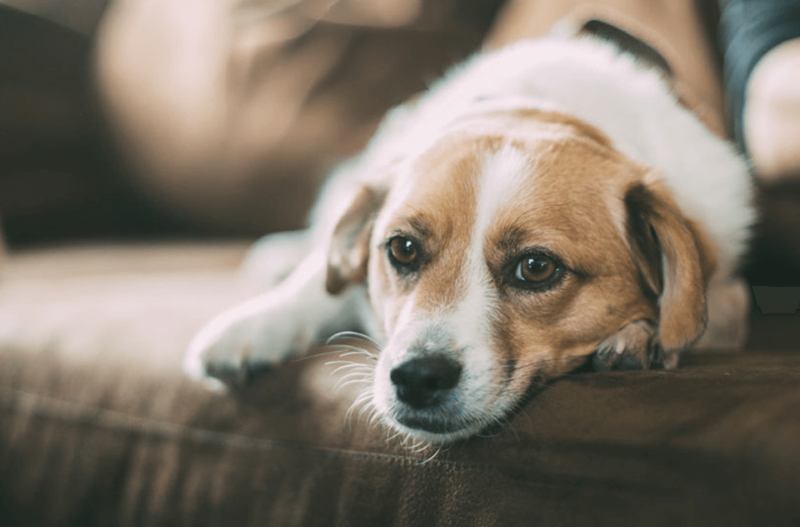 So you may see fleas come to the surface of your pet’s coat and your pet might feel a bit more itchy than usual until those fleas are killed. Flea products don’t kill fleas instantly – the flea has to come into contact with the ingredient, absorb it and then start to feel the effects. It’s a little like you catching a cold – some time will elapse between you having contact with the infection and then becoming ill. Although it may happen a lot quicker it can take up to 24 hours for fleas jumping onto your pet to be killed. There are no flea products that stop fleas from jumping onto pets. This means that regardless of the licensed flea treatment you use – you may still see fleas on your pet until the flea product kills it. There are usually many more immature flea lifestages (eggs, larvae and pupae) in your home than adult fleas on your pet. Flea eggs can be constantly hatching out when the temperature and humidity are right and new adult fleas are always emerging from cocoons (pupae). These new fleas only hatch out when a host animal (your pet!) is nearby, as they have to have a blood meal to survive and breed. If you’ve treated your pet with FRONTLINE® Spot On or FRONTLINE® Plus those fleas will die within 24 hours, and so will have few opportunities to lay eggs (egg laying normally starts 24 hours after feeding), helping you control the infestation in your home. To start fighting the home infestation straight away, you can also use FRONTLINE® HomeGard household spray. It kills fleas and larvae, and also prevent eggs and larvae from developing in your home for up to 12 months. If using FRONTLINE® Plus, active IGR technology stops any newly laid flea eggs from hatching and larvae developing in your home, helping to prevent an infestation building up in your home. Even once you are on top of any flea infestations in your home it is possible for your pet to pick up fleas outdoors, for example in your garden or during walks (and in the car?). Flea eggs and pupae can also be brought into the home on shoes or clothing. If you are treating regularly with FRONTLINE® Spot On or FRONTLINE® Plus, any ‘hitchhiker’ fleas will die within 24 hours of jumping onto your pet. Female fleas can lay up to 50 eggs per day and a few fleas can rapidly establish a population within your home. Regular preventative treatment should stop this situation from developing and helps keep your pet healthy.